The AV-8B Harrier II is a progression of the British design for the Hawker Siddley Harrier. This single engine light attack aircraft is capable of short and vertical take-offs and landings (S/VTOL). 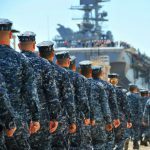 Since its introduction to the U.S. Navy in 1981, it has been adopted by both the Navy and Marine Corps as a close air support and electronic warfare platform. The EAV-8B Harrier II is the electronic warfare variant still in use by the U.S. Marine Corps and is used to conduct electronic attack and screening for Naval fighter aircraft and ground forces. 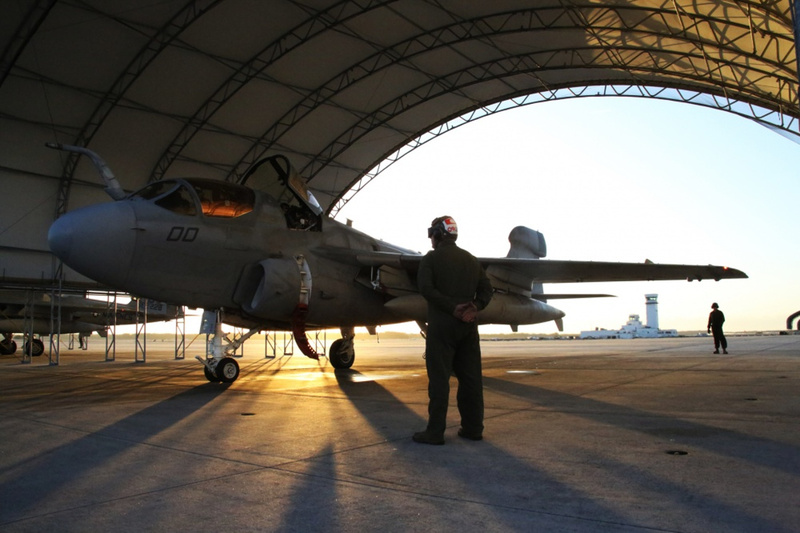 The AV-8B Harrier II is the first operational S/VTOL aircraft used by the United States Navy and Marine Corps. It has served aboard aircraft carriers, large assault ships, and even remote forward operating bases. 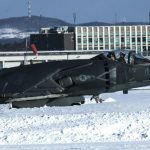 Because it can land virtually anywhere it has clearance to touch down, the Marine Corps have taken great value from their AV-8B. Originally produced by McDonnell-Douglas, Boeing now provides service for the present fleet of AV-8Bs and variants still in operation. 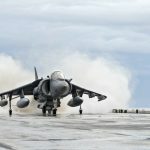 The Marine Corps plans to transition their entire AV-8Bs to F-18C/D/Es by 2025. 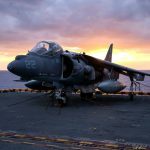 The rate of accidents for the AV-8B Harrier II is nearly three times higher than other aircraft operating in either the U.S. Navy or Marine Corps. 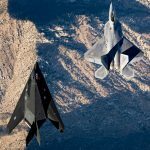 Being the only S/VTOL fixed-wing aircraft in either’s fleet stipulates they must maintain and utilize it until a replacement can be found. 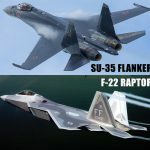 The Marine Corps hopes to use a highly modified F-35B to take over all duties presently maintained by their F-18C and AV-8B fleet. The rate of failure of this aircraft is partially due to the engineering of a single-engine capable of short and vertical take-offs and landings. A lot of errors occur particularly with the directional nozzle controlling the vector thrust of the AV-8B. U.S. Marine Corps AV-8B Harriers fly behind a U.S. Air Force KC-10 Extender from the 908th Expeditionary Air Refueling Squadron in support of a Combined Joint Task Force - Operation Inherent Resolve mission Feb. 10, 2017. The KC-10 provides aerial refueling capabilities for the CJTF as it supports the Iraqi Security Forces and the partnered forces in Syria as they work to liberate territory and people under the control of ISIS. 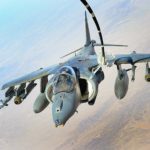 The AV-8B’s mission history begins in 1991 with Operation Desert Storm. Held back from taking part in the initial air campaign, the AV-8B was called in to support ground positions being attacked by Iraqi artillery. 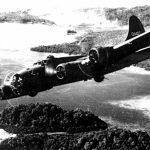 Their continued service throughout the conflict would be measured in about 4,100 flight hours. 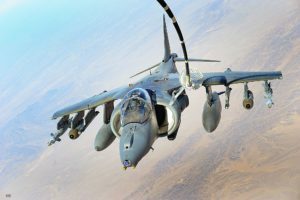 Unfortunately, the AV-8B Harrier II took some of the highest losses of all U.S. fixed wing attack aircraft. Five AV-8Bs were lost to surface-to-air missiles. 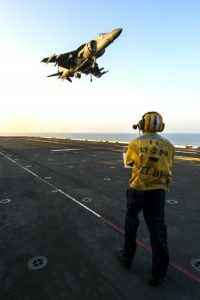 Because of the critical role they played in ground operations, the AV-8B was often called into heavy conflict regions. In 1999, they deployed in support of NATO ground forces in the Bosnia-Herzegovina conflict. One AV-8B was lost during this time. 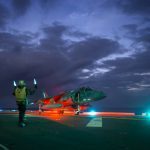 The Marine Corps has repeatedly credited the AV-8B with staying on top of mission availability. The AV-8B maintained a 90% availability rate during Operation Desert Storm and an 85% availability rate throughout the Iraq War in 2003. Able to carry less armament than an AC-130 Spectre gunship, the AV-8B has been used to hit precision targets in dense urban environments. Its ability to loiter has made it a prized asset by Marine ground forces operating in both Iraq and Afghanistan. 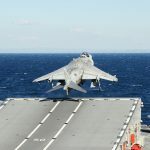 An AV-8B Harrier, assigned to Marine Medium Tiltrotor Squadron (VMM) 163 (Reinforced), hovers above the flight deck during a vertical take off from the amphibious assault ship USS Makin Island (LHD 8). Makin Island, the flagship of the Makin Island Amphibious Ready Group, is deployed with the embarked 11th Marine Expeditionary Unit to support maritime security operations and theater security cooperation efforts in the U.S. 5th Fleet area of operations. 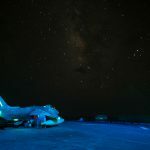 In Operation Odyssey Dawn, AV-8Bs assisted NATO air assets in enforcing a no-fly zone over Libya. In 2011, AV-8Bs were pivotal in providing extreme close air support for a downed F-15E Strike Eagle before the pilot could be evacuated by a Boeing V-22 Osprey. Their ability to loiter over a close geographic area and provide effective kinetic fire on ground forces have proven the AV-8B a good choice. 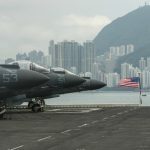 The United States Marine Corps initially planned to replace their entire fleet of AV-8Bs with F-35Bs, but have had to push back that date further and further as the F-35 program refines its final design for a V/STOL variant. 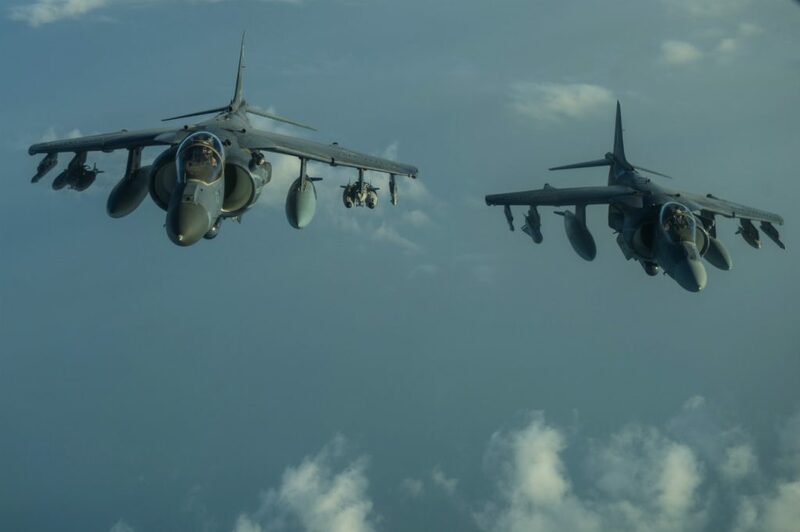 Now see more captivating images of the AV-8B Harrier light attack aircraft. 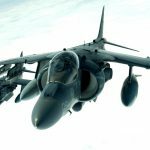 Powerplant: The most recent version of the AV-8B Harrier II uses a single Rolls-Royce F402-RR-408 (Mk 107) vectored-thrust turbofan. The turbofan produces up to 23,500 lb-ft of thrust. Unit Cost: $30 million USD.